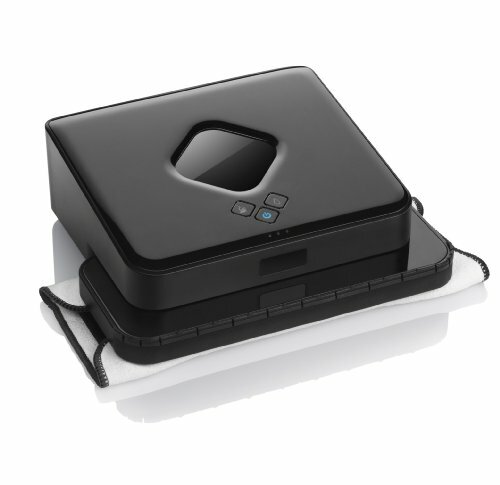 Sweeping and mopping have just become something interesting with the introduction of iRobot Braava 380t. It is a robot designed to cater for all your cleaning purposes and for all types of floors. Manual cleaning for floors is essential and needs to be done now and then. iRobot Braava helps to keep floors clean between the time they are manually cleaned until the next session of cleaning. All those tools and features are essential to ensure that iRobot Braava operates well and caters for all your cleaning needs. 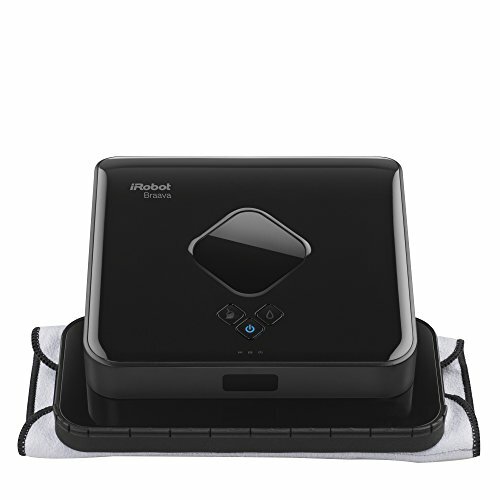 iRobot Braava 380t is specifically designed to cater for all your cleaning needs anytime. Some of its features will help make your work easier. It comes with smart navigation which acts like GPS to guide the iRobot Braava 380t. This means that in most cases, you need not be there to see how it’s operating. The smart navigation feature ensures all parts of your floor are covered and are perfectly cleaned to your satisfaction. It is designed to cater for various floors hence come with various cleaning modes. When operating it, you are at liberty to choose between sweep mode and damp mode. This will obviously depend on your floor and how better you want it cleaned. 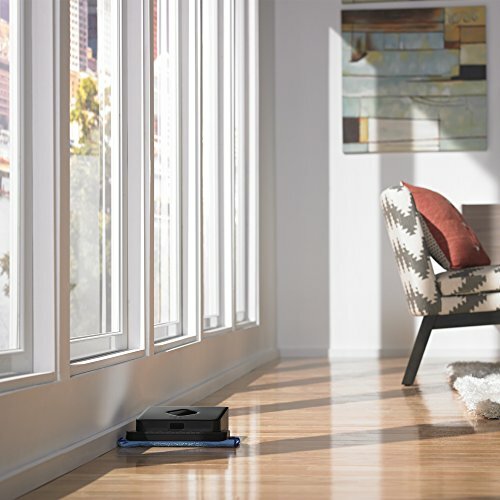 With just 3.1″ height, iRobot Braava is designed to clean all your floors with convenience. The height is slightly low as compared to different kinds of furniture for example chairs and tables. This guarantees you a clean floor even under the furniture without disruption of the arrangement. It is specifically designed to conduct all cleaning activities quietly. Once you switch to your preferred mode and have set everything right, you can continue with your daily routine activities. It can even carry out cleaning even at night without disturbing you at sleep. iRobot Braava is designed in such a way that it requires less effort from you. It is designed well such that it can carry out cleaning activities in your absence and once through, it can return to the original position and put itself off. We can simply say that it is designed to be self-sufficient. It comes with a water reservoir which ensures that mopping cloth is replenished always. This means that you don’t necessarily need to soak the mopping cloth externally. The NorthStar Navigation Cube is specifically designed to help the Braava locate its location. It is an important tool since it helps to come up with a map of the house with the help of signals. 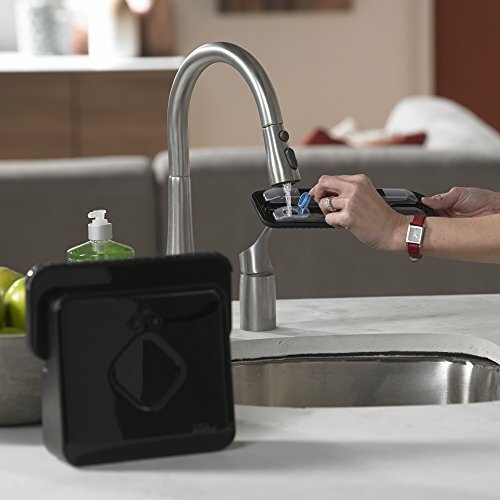 It maps all obstacles as well as walls helping the Braava to avoid them while cleaning. When it comes to operation, iRobot Braava 380t is easy to operate. It is important to note that you need to fix the mopping cloth manually. The mopping cloth is washable so after the cleaning is over; you can remove the cloth to be washed. Charging is also required. You need to manually place the Braava on the charging dock. It doesn’t need much time to charge since it only requires two hours to be completely charged. As highlighted earlier, you need to choose the right mode for your Braava. You need to choose either the sweeping mode or the damp mode. The sweeping mode is suitable for floors which are less dusty while the damp mode is ideal for dusty floors. Maintenance of any item is essential. It determines the durability of the item as well as the efficiency. For your iRobot Braava to serve you well, you need to practice high maintenance standards. It is highly recommended to use mild solutions for your iRobot Braava. Tap water may as well be used for efficiency. Harsh cleaners may tamper with the internal parts of your Braava so they are not recommended at all. Soapy solutions may not also be good for your Braava. The solutions may cause the wheels of the Braava to slide during cleaning since in this case, they will be slippery. Avoid them at all cost. 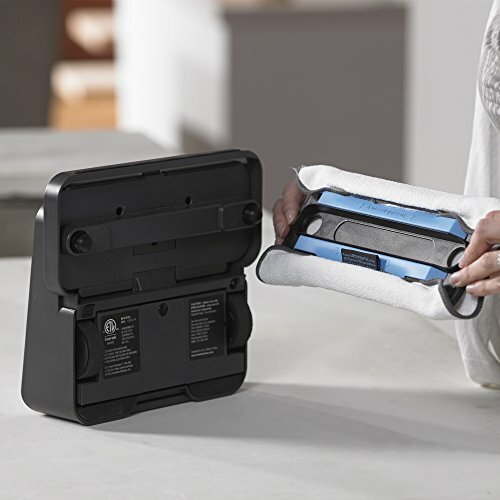 To ensure that your iRobot Braava works well, use it with disposable cleaning cloths. Alternatively, you may use microfiber cloths to enhance efficiency in cleaning. Ensure that charging is done properly without interruptions before the 2 hours needed for charging are over. There are various accessories available for iRobot Braava 380t. In some instances, you may need to change some accessories to ensure that your iRobot Braava works properly. You need to change the batteries regularly to enhance efficiency. Mopping and sweeping cloths which are torn may not give the best results. You need also to change them from time to time. NorthStar Navigation Cube is another important accessory that may need to be replaced with time. Adaptors for your iRobot Braava 380t may be available at the time that you may need to change yours. iRobot Braava 380t is one of the best robots to handle all your cleaning tasks. Since it can handle all types of floors, consider it a must have in your house. The Braava is silent during the cleaning process. This makes it an ideal cleaning tool at any time including during the night.